For those who need to catch up, Joe Strummer was a punk in every beautiful sense of the term. Sent off to boarding school at the age of nine, he quickly realized he had a choice: either be the bully or be bullied. Since suicide was not uncommon in the school’s poisonous atmosphere, Joe wisely chose the former. A lousy student in a grim spot, and a child with a poor paternal relationship, Joe’s resistance to — and avoidance of — authority were a natural reaction. One thing led to another and the boy born John Graham Mellor — and known to his friends as “Woody” — would eventually make it big as the punk rocker Joe Strummer in the seminal punk band The Clash. Unfortunately, Joe died of a heart attack in 2002 at the slight age of 50. In 2004, The Clash were inducted into the Rock and Roll Hall of Fame. There’s plenty that can be learned from Joe’s life and this documentary serves as a wonderful vehicle to deliver Joe’s timely message about living life in the now in the global village. Director Julien Temple (Absolute Beginners) was a friend of Joe’s and he has managed to assemble not only a tremendous collection of Joe’s friends for on-camera interviews, he’s also presented the creative energy of the man in his own hand. Given access to volumes of Joe’s home movies, recordings, notes, drawings, and Post-Its, via the magic of animation and clever film work, Joe’s sketches and comics are brought to life in an artsy, punky way that perfectly meshes with the rest of the movie and the spirit of punk (and yes, believe it or not, Animal Farm). There are many great things about this documentary: the candid, warts-and-all presentation; the contradictions; and the underlying sense of community and humanity. But the coolest thing of all is watching Joe’s former bandmates, friends, and collaborators talk about him while sitting around campfires. It wouldn’t be right to film them in the friendly, cozy, and so-secluded confines of their mansions, residences, studios, or any other setting. No. Here, they all gather around campfires in an intercontinental spirit, their backdrops include London, New York, and the vast expanse of the ocean. Among them are Johnny Depp, Matt Dillon, and John Cusack. Even Martin Scorsese chimes in (he’s the only one wearing a tie). The campfire gathering was something Joe started up at the Glastonbury music festival and he considered it one of his best ideas, even better than his music. People coming together and communing by the campfire; stories to tell, lessons to learn, music to share. And there’s plenty of music in this documentary as well. The credits list 63 songs, and while many are by The Clash or Joe Strummer and the Mescaleros, there are also classic acts like Elvis Presley and Bob Marley and new, modern-day favorites like those purveyors of sweet country acid house, Alabama 3, singing U Don’t Dans 2 Tekno Anymore by the campfire. Joe wasn’t the kind of punk who’d walk the streets looking down at this shoes, then glare at an innocent pedestrian who’d dare to bump into him. No. Joe was all about soaking up what the world has to offer, then turning around and sharing it all with others, infusing his music with politics, causes, and global awareness. To that end, Joe had a unique advantage in having been born in Turkey and exposed to numerous different cultures while traveling with his parents between school terms. Even though his parents weren’t at all musical, traveling around and listening to the different forms of music had a profound impact on Joe. All those experiences would go on to inform his music and inspire his passions. While squatting in London as a protest against vacant housing even as the homeless remained hopelessly homeless, Joe formed a band with his fellow squatters. Not knowing how to play any instruments was merely a technicality. They’d learn to play by doing it — and charge people 10 pence to listen to them “learn” in their flat above a pub. That was the fertile setting that allowed Joe to find his voice, set his course, and sow the mantra that you should give it your all or forget it. From there, he’d leave the squatters and start back at square one with that band called The Clash. Starting over and rebuilding from scratch would become a familiar refrain for Joe, right up to his final stint anchoring a BBC World Service radio show that reached 40 million listeners around the planet. 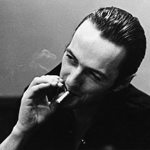 Today, the world’s still riding in the wake of Joe Strummer and the future remains unwritten.